Meet a guide at the hotel Fairmont The Queen Elizabeth near Dorchester Square for a 10am departure, and start exploring Montreal architecture, from modern buildings to several century-old landmarks, including the Sun Life Building, the Cathedral of Marie-Reine-du-Monde, and Windsor Station. From there, admire the many works of art on display from Promenades Cathédrale to Place Montréal Trust, passing through the Complexe Les Ailes. Also on the itinerary are Place Ville Marie, Central Station, and McGill University, as well as a stroll along Saint-Catherine Street, among Canada’s most important commercial thoroughfares. 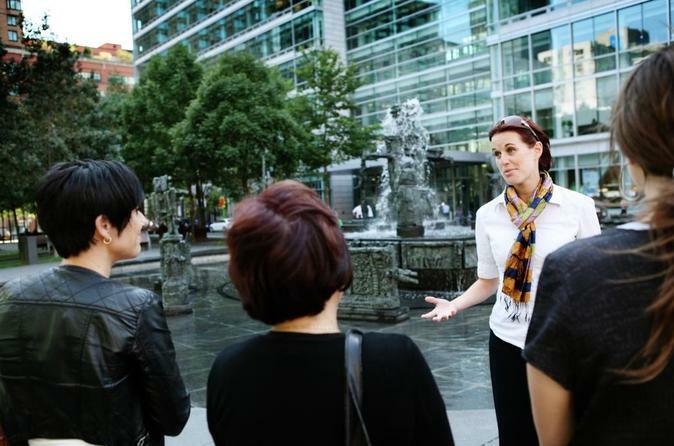 Throughout the tour, take advantage of your time with a private guide to ask questions and talk about Montreal's history, people, and top sites, picking up tips for the best places to eat, drink, and explore.